NASA will release the first batch of science from the Juno probe. The spacecraft has been observing the planet Jupiter since 2016. The first science data from Juno was released by NASA and it has revealed some of Jupiter's secret. One of the data included in the first science from Juno is an image of the planet's south pole. It's a region that's not typically explored. NASA's Juno spacecraft used its JunoCam to capture multiple images of Jupiter's south pole at an altitude of 32,000 miles (52,000 kilometers). There were cyclones present when the images were taken and can be seen as oval features in the image published by NASA. Understanding the oldest and largest planet in the Solar System is important for NASA scientists since the data can provide them with information about the formation of the universe including the Earth. Jupiter is considered a gigantic turbulent world with polar cyclones as big as Earth. It is called the "biggest and baddest" in the Solar System due to its harsh magnetic field. 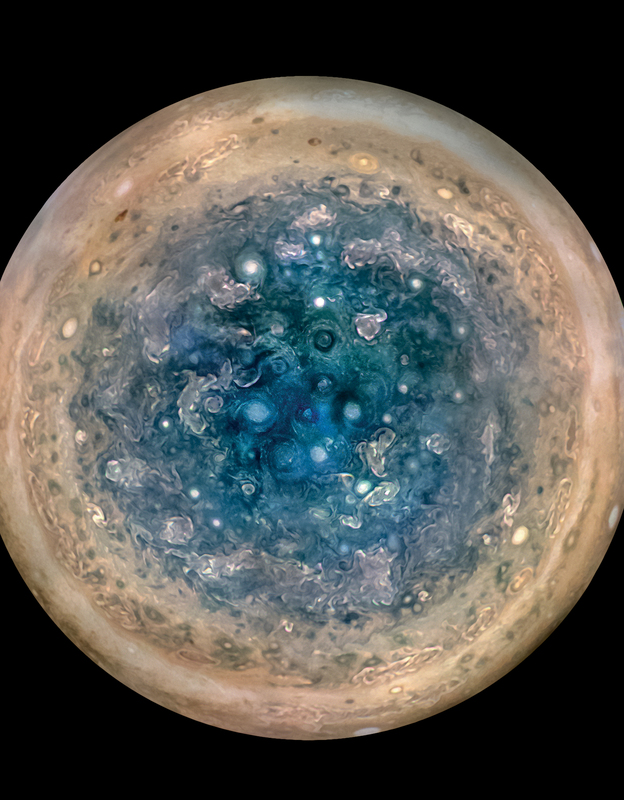 "We are excited to share these early discoveries, which help us better understand what makes Jupiter so fascinating," Diane Brown, Juno program executive at NASA Headquarters in Washington said in a press release. "It was a long trip to get to Jupiter, but these first results already demonstrate it was well worth the journey." Juno was launched on Aug. 5, 2011, and it reached Jupiter's orbit on July 4, 2016. This is the reason why the first science data from Juno is highly anticipated by the scientific community because it may reveal secrets of Jupiter that no one has ever observed before. The first science from Juno will be published in two papers in the journal Science and astounding 44 papers in the journal of Geophysical Research Letters. "We knew, going in, that Jupiter would throw us some curves," Scott Bolton, Juno principal investigator from the Southwest Research Institute in San Antonio said in a statement. "But now that we are here we are finding that Jupiter can throw the heat, as well as knuckleballs and sliders. There is so much going on here that we didn't expect that we have had to take a step back and begin to rethink of this as a whole new Jupiter." The Earth-sized swirling storms on Jupiter's poles are just the beginning of the discoveries from first science data from Juno and the JunoCam. Scientists are now looking into how the gigantic storms originate and why both poles of the planet are different from each other.